Mommy diary: Zee and Jollibee - Hits and Mrs.
My daughter is no exception. I don’t recall introducing her to the big orange bee prior to her 1st birthday (celebrated at, where else, Jollibee). But when the mascot appeared right in front of her, she was actually beaming. After that, whenever we go to any Jollibee branch, she’d want to come near the statue and touch its face. 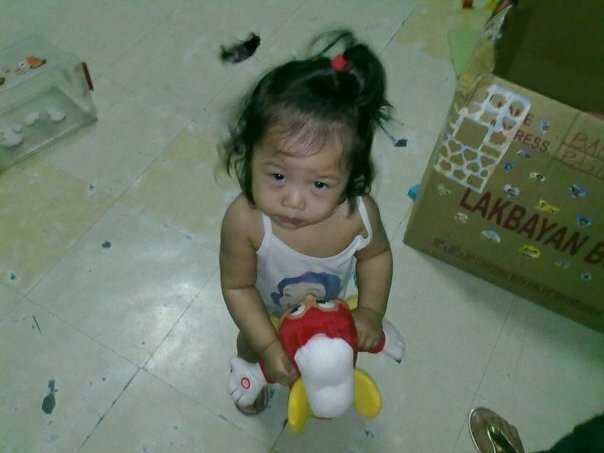 So Zee’s reaction yesterday, when hubby and I came home with the Jollibee stuffed toy in hand, didn’t come as a surprise. She dropped everything (and totally forgot about sitting on my dad’s lap while at the dining table) and ran towards the teeny version of the big orange bee. 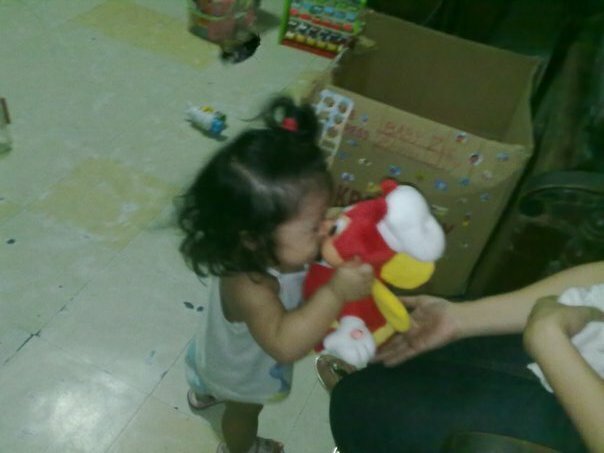 And yeah, she kept kissing the stuffed toy. The Jollibee doll actually talks — you just have to press its right hand and it speaks a line introducing himself and telling kids to play with him. Hmm. Anyways, I don’t know if the other dolls (Hetty, Yum, Popo, and Twirlie) talk as well. They were out of stock when we went to the store to buy. And for some reason, they’re priced differently. Jollibee’s Php290 while the 4 others cost Php250 only (according to my dad). But anyhoo, at least my baby’s happy. No really, she IS happy. So happy that she kept on talking to Jollibee until past 10pm — way past her bedtime. Ganun siya ka-adik kay Jollibee.